In the center of northern Penobscot Bay lies a 13 mile long island known as Islesboro. Lying at the southern tip of the island is a deep anchorage named Gilkey Harbor. Gilkey Harbor served as the home port of Penobscot Bay’s largest sailing fleet during the 1840’s and most of Islesboro’s male population served on these ships. 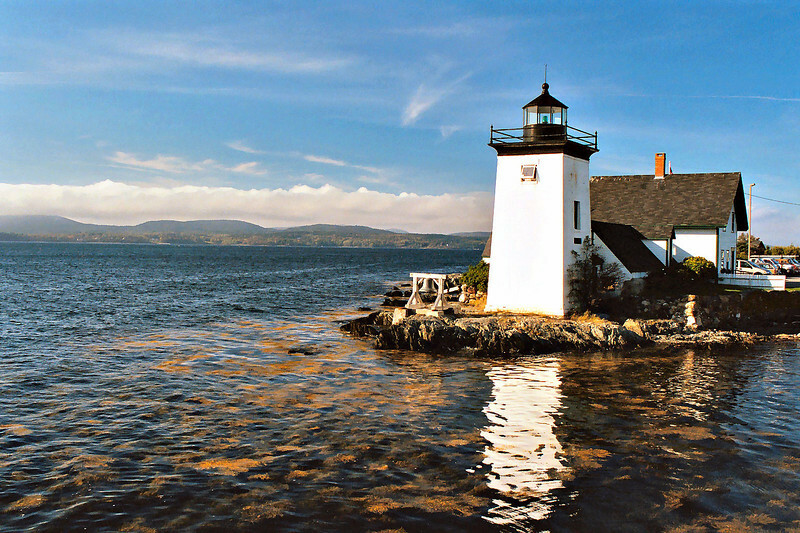 In March 1849 Congress appropriated a sum of $3,500 to establish a lighthouse at Gilkey Harbor. Land at Grindle Point was purchased for $105 from Francis Grindle.